The 2016 and 2017 Paschen Scholars traveled to S.T.A.T.E. Testing’s laboratory last week to learn about materials testing. 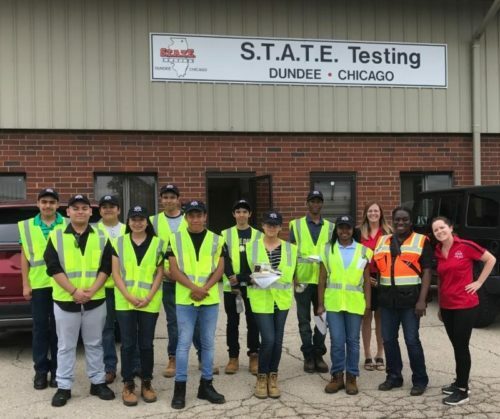 Students toured the laboratory and participated in demonstrations about aggregate and soil testing, gradation, and participated in a proctor test. 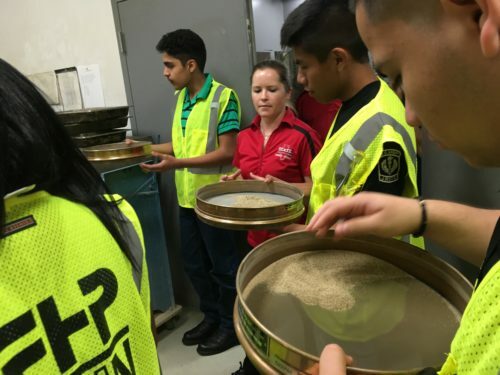 Students took a closer look at the ingredients in concrete and asphalt mixtures, learned about new performance testing technologies like the Hamburg wheel track test and the disk-shaped compact tension test (DCT), and the asphalt analyzer, and observed the testing of a compression strength cylinder. F.H. 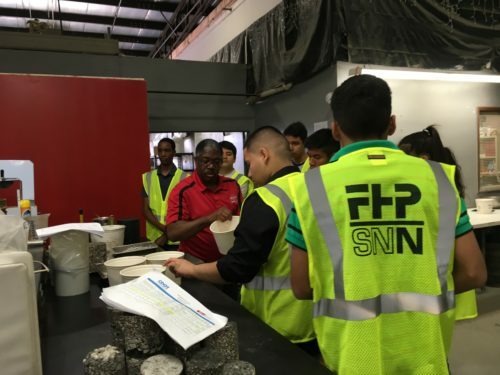 Paschen has partnered with George Westinghouse College Prep, a diverse, selective enrollment high school, to provide resources and training to better prepare students for careers in the architecture, engineering, and construction industries.